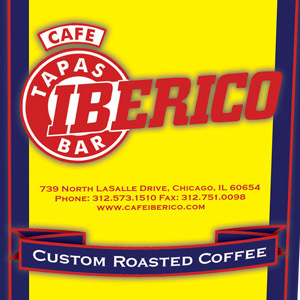 Chicago is home to the most authentic Spanish cuisine west of the Iberian Peninsula and boasts one of the largest tapas restaurants in the United States, Café Iberico. The coffee and espresso served at Café Iberico mirror this philosophy of authenticity. Our roaster traveled to Spain to create this blend. Drawing from local inspirations, we created a subtle, highly intoxicating, aromatic coffee with the same flavor profiles of those found in cafes along the coast of Southern Spain.